*Hi friends, just a heads up that this post contains affiliate links, which are indicated with an asterisk. 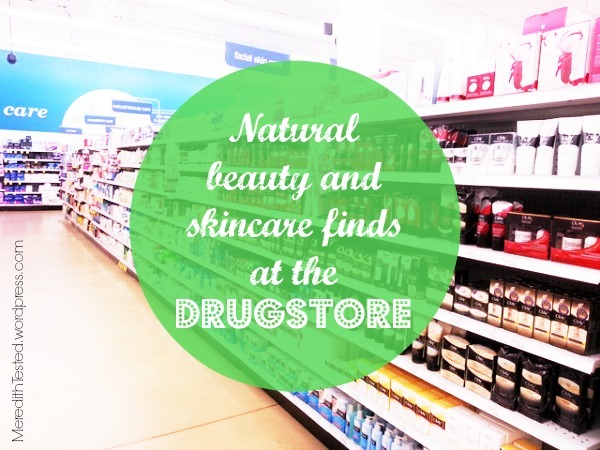 Drugstore finds that are actually non-toxic? Yes, they exist! While I purchase many of my favorite green, clean products at natural food stores and online (Vitacost is a great choice + my readers get $10 off! ), you can still sometimes find good options at your local “mainstream” drugstore and/or supermarket (Target and Walmart seem to be expanding their natural options daily). I like the scent of this toner. A little also goes a long way so this should last a long time. Just a quick squeeze on a cotton pad and it definitely deep cleans. I don’t use a toner every day but definitely more often in the summer months and when I’m working out more. Check out all the ingredients on the package or EWG Skin Deep, though, since some people might be more sensitive to some of the not-so-natural ingredients than others. These lip shimmers look great on and are sheer enough for everyday use. They’re not as moisturizing as a straight-up lip balm but they’re pretty good. I’ve found that the consistency varies wildly from color to color, though. Some are “gritter” than others (due to the glitter/shimmer in certain colors?) and some colors are way more sheer than others regardless of what the color looks like on the cap. Currently I’m liking the color ‘Fig.’ Also, be “warned” that certain colors have higher Skin Deep ratings due to differences in ingredients (ex: another one of my favorite colors Caramel EWG: 2). This shampoo is a good, basic option for people with any hair type, despite the name. Might be good for people who color their hair. I like the fact that this formula cleans my hair well but doesn’t feel like it’s stripping it of natural oils. Some “repairing” products also just seem like they’re depositing build-up but this product doesn’t do that. However, it doesn’t feel like it’s repairing as much as I hoped, though, so it could be used by people with any hair type. Please note that the conditioner that pairs with this shampoo has a higher EWG rating of 4. This is a great year-round product, not just for summer months when you can “get away with” a more bronzed look. It just adds a bit of “life” to your face after evening out with foundation and/or concealer. It comes in a few different tones. I am fair skinned and I think all would work for me. One issue is that I’m not a huge fan of the packaging. It gets kind of gross/worn-out-looking quickly since the paper packaging gets dirty from the product quickly. The brush that comes with it is cute and better than some but it doesn’t spread the product evenly on skin. I kept it for on-the-go applications but I end up blending with my fingertips afterwards. Also, more and more stores are carrying good-quality essential oils * that are great for DIY skincare and fragrance. Score! 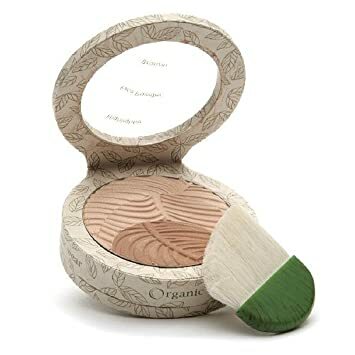 If you’re in a pinch, these big brands offer a FEW items that have low/safe ratings on Skin Deep, but are certainly not the most eco-friendly options for makeup out there. However, better than choosing something with potentially harmful ingredients! What all natural brands/products do you buy at “mainstream” stores? Burt’s Bees is so awesome. I haven’t tried the lip shimmers, but my friend is obsessed with them and now that you’re recommending them too, I should give them a try! Also, that toner may find its way into my cart the next time I’m at Target…I’m a sucker for anything Hawaiian.